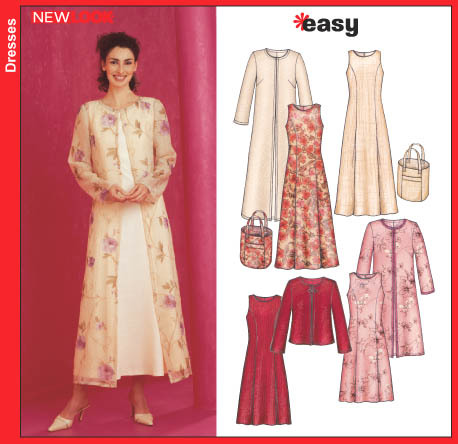 New Look 6270: Dress, Accessories, Coat/Jacket & Formalwear. I thought this simple pattern would work well with the 6 wale corduroy I'd purchased from Joann's a few weeks ago. Hoping that it would allow the wales of the fabric to balance the style of the jacket (or keep me from looking like Corduroy Bear..lol). I'm working up Version E, which has side darts ( or are they bust darts... can never get that right ) and neck facing... simple enough right. The body of the jacket went together effortlessly, with the plan of putting a lining in as well. Although the jacket doesn't have front facings, I'd plan to fold over the fronts of the jacket and attach the lining to that. Also, I added faux welt pockets. There are 2 problems that I am having with this jacket, one is the neckline, I attached the neck facing and serged to the neckline of the jacket. Upon trying it on I noticed that the neckline sits away from my neck... umm what is that all about. Secondly, it appears that the back is several shades lighter than the front.... umm is it just me... Is there some scientific formula for cutting out corduroy? Looks good. Love the fabric and color. 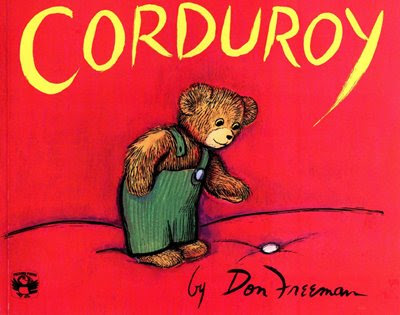 Corduroy has nap- is it possible you cut out the back in a different direction than the front? That would explain the color difference. Love the fabric. Mary is right, you have to cut all the pattern pieces in the same direction. The jacket does look great. Isn't it lovely working with different fabric and seeing how they act and react? LOVE the shoe. I wish I could help, but I've never worked with corduroy. The color is lovely. I love the shoe, too! First, The jacket is pretty. I love wale corduory. This shade of green is a favorite of mine. I'm no expert, but I noticed that the neckline also stands away from your dressform. It maybe in the draft of the pattern. You could try increasing the allowance of the shoulder seams at the neckline to mid shoulder to see if that helps. The direction of the fabric nap (back) could be the cause of the shading. Brush up or down to see if that changes the shade of the back. Sometimes the angle causes the color to look different too. @ Mary - now that I am looking at it and thinking back on the cutting phase you are a 100% right. @ Cennetta - Yes, the neckline sits away from my neck. This will have to become a muslin, I will take in the shoulder seams to see if that will work and insert the sleeves also. I have another batch of corduroy and hope that the changes I make on the muslin will make the second try a better fit. Hopefully a wearable muslin, I love the color and I'm sure you will work out the fitting issues, don't let the front/back color difference stop you from wearing it. "With the nap running up the fabric, the corduroy looks darker; with the nap running down, it looks lighter and shinier (if you have trouble determining the direction of the nap, try draping the fabric around your shoulders and see which side looks darker). Skirts and pants wear better with the nap running down, which makes the seat area less likely to shine. Coats, jackets, and blouses look richer with the nap running up. Whichever nap direction you choose, cut the pattern following a nap layout, that is, with the tops of all pattern pieces (except those placed on the crossgrain or bias) toward the same end of the fabric." If you want to save this jacket, maybe you can play with the nap on the collar, cuffs, and other details. If you cut it again, before you lay the pattern pieces out, smooth your hand along the corduroy. In one direction it will feel smooth, and in the other rougher. You want to cut it so that if you pass your hands down your body, it will feel smooth, not rough. A long time ago I made a velvet skirt with the nap the same front and back but running upwards. I could hardly bear to wear it. (You may now be getting strange mental images of someone constantly caressing her body, but honestly, I am a perfectly normal human being! You don't want to wince every time you hand glances past your hip.) Apart from the feel of it, cutting it so the nap lies in a downward direction does also improve the look/shine on the surface. Corduroy, my favorite winter time fabric. I love this color. One of my favorite shades of green. Here is a link to a threads article that was very helpful to me when I made my corduroy jacket last year. Thanks goodness you have more fabric to work with.. Can't wait to see it when its finished. Or the embroidery machine could be telling you that it's time to go buy a new pair of shoes. Sometimes machines know these things. The shoe is so cute! Perfect job. that embroidered shoe is too cute!! That jacket is going to look great - it will be worth persisting with. I just love your stuff. So creative! Hope you're having a good 2010 so far! I love the colour! Hope you are able to workout the fit issue.The shoe is so cute.